We are excited to shine the spotlight on CAPNA! 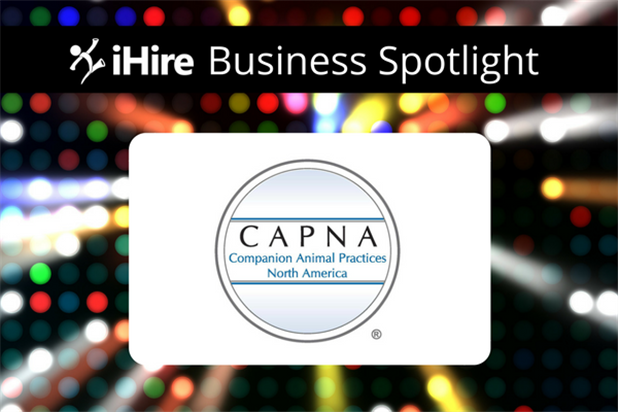 CAPNA (Companion Animal Practices, North America) is a national group with local roots, focused on improving the practice of veterinary medicine. Their vision is to become the most respected and successful companion animal veterinary group in North America by excelling in both medicine and practice management. We recently caught up with Ryan Miller, Recruiting Manager, to learn more about what makes CAPNA a great company to work for and get his advice on overcoming hiring challenges. Question: What makes CAPNA’s company culture unique? Why is CAPNA a special place to work? RM: CAPNA is a very employee-/doctor-centric company. Our culture is centered around providing the best possible care for our patients, their owners, and our staff. We are dedicated to doing our best and having a fun and challenging work environment. In order to provide the best care, we feel that we need to provide training opportunities for our doctors, technical staff, management, and front office staff. Question: What are the responsibilities of a Recruiting Manager at CAPNA? RM: We have about 70 hospitals across the United States and my job is to help recruit for those hospitals. I primarily recruit Veterinarians and Veterinary Technicians but can recruit anything that the hospital needs. This is a new role for the company and I started in August of 2017. RM: Our biggest challenge in hiring is keeping up with our growth and backfilling the vacancies left when our senior doctors and staff retire. As we continue to grow, we have a constant need for new and excited people. This creates opportunities for those interested in growth and development. RM: Provide the kind of culture, environment, and opportunities that will keep employees engaged and excited about their work. If people like their work, it will make recruitment less difficult and allow hiring managers to be more selective. Job seekers: looking for a veterinary career? Check out CAPNA’s open positions and apply today!